Even though I'm nowhere near ready for bikini season (I mean, you saw that box of macarons the other day...) I've found myself buying at least five new bikinis for this summer. Don't ask me why, since I'd prefer to not be seen in them but I suddenly felt as though my bikini wardrobe (from circa 2002) was in need of a serious update. 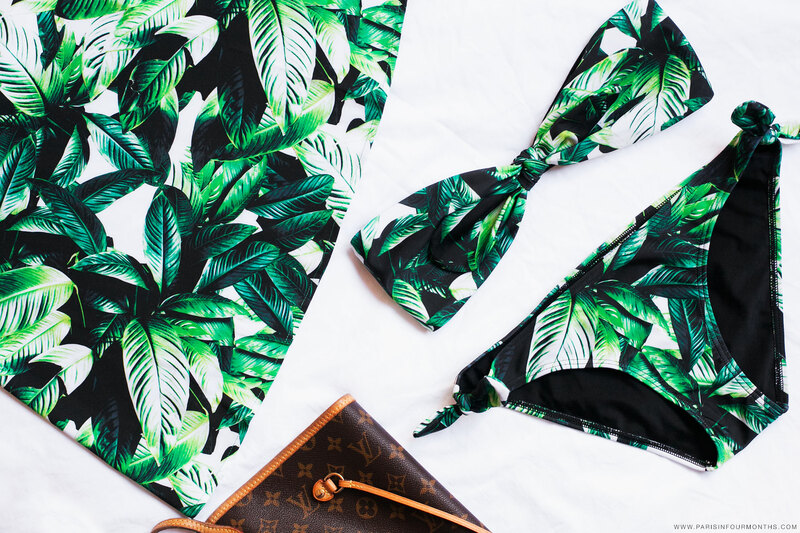 I've welcomed this adventurous jungle print, among others, into my suitcase for my upcoming Italy-trip in July and feel a bit crazy since I normally stay away from prints. But I liked this one too much not to give it a go. I can't wait for the beach!